We examine today business transformation and the importance of focusing on the challenges of transition and the dangers of over fixating on the new model. Transformation does not mean a fresh start – there is an existing business and it has to get from here to there while remaining sustainable. We can see a new business model glistening in the future, operating so much more smoothly, and productively serving to reinforce what is sub-optimal today. So obvious is the vision, that we wonder why we didn’t put it in place in the beginning. The impatience for the new often oversimplifies or even ignores the challenges of getting there. Overlooked stakeholders and an inherent resistance to change frequently make the transition more difficult than anticipated. When the barriers overwhelm they lead to abandonment or a compromise of the model. With any business transformation in any industry, failure to anticipate all of the implications will lead to a less than satisfactory outcome. Take the change facing the restaurant industry and the abandonment of tipping which we use as a case study to demonstrate the implications of business transition. A “hospitality included” model presents an opportunity to address these and a means to differentiate in a highly competitive environment and may even generate first mover advantage if implemented quickly. Competition is fierce and margins are slim – a new model has significant attractions. 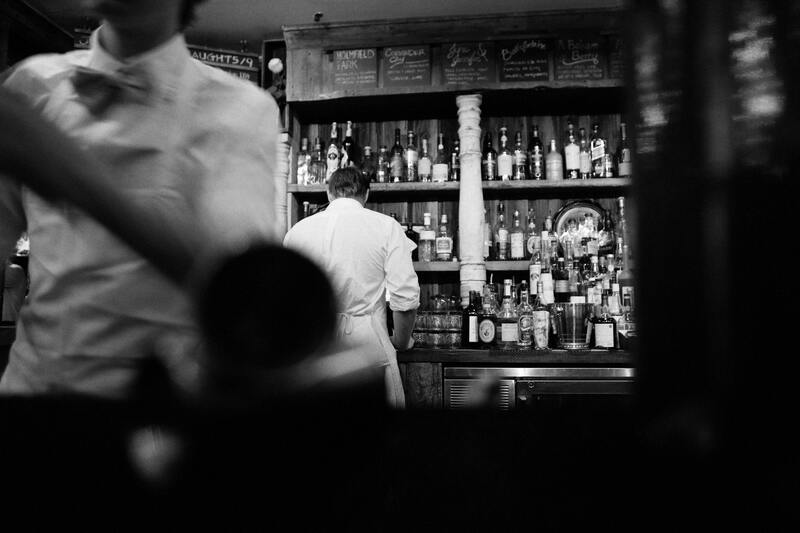 The Future of the Industry – There are two schools of thought about tipping and its impact on the industry; customer preference is paramount and rewarding service directly will secure its future or; that the end of tipping represents the catalyst to professionalize table service in North America and bring it into line with other parts of the world. A restaurant cannot operate in both camps in its outlook but both types of establishment can continue to exist in the short term. Considering which will prevail and when to commit is the first challenge for an owner. Business Strategy – Whether a restaurant plans to change or not, awareness of competitors thinking and who is making the change will be important information. Customers, employees, and suppliers will all need to understand the selected business proposition. Competition – The increased competition for customers will be matched by that for wait staff who now have the choice between employers that offer fixed pay and those that continue to enable variable pay through tipping. Workplace Culture – The removal of tipping will have a profound effect on workplace culture. Front and back room teams as well as management will need to change behavior and this cannot be left to evolve naturally. An alternative compensation plan will need to be developed that supports the new culture. A workplace where people want to work will improve productivity. Equitable treatment of staff will be critical. Talent Management – Not all staff will stay if a change is made now that there is a choice in how they can be compensated. Some may feel uncomfortable about the resulting changes for example with a “hospitality included” model expect scheduling challenges for weekend nights that were once good tipping times and to have to screen wait staff candidates more carefully to weed out personalities motivated by tipping. Pay – Earnings protection for wait staff through productivity incentives that reflect the new culture may be appropriate. Improving pay equity between front and back room staff will motivate collaborative endeavor and by providing a share of the value created will attract like minded people. Pay should enable not drive change. Product Mix – How will product sales volumes change if tipping goes away? Will sales of higher end wine increase or decrease if tipping no longer has an impact on choice or price? Suppliers will need to be involved and product mix watched. The restaurant industry is by no means unique. Other industries and employers have been through similar transitions and have had to face complex business implications but it serves to provide examples from an industry in flux, the ramifications of transition and how employers need to explore experiences and solutions from outside their own industry.